A full-cast audio-drama mini-series based on the classic 1980's gamebook series! "THE WARLOCK OF FIRETOP MOUNTAIN: The Hero's Quest." David Warner, Lisa Bowerman, Tim Treloar, Toby Longworth, Charlie Higson, Rachel Atkins and many more! 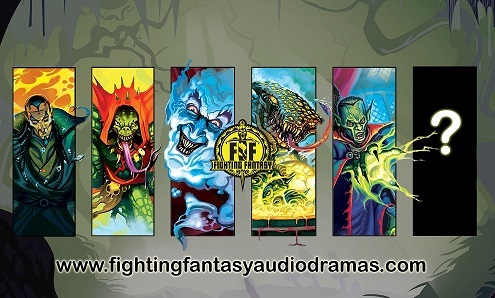 Visit the Fighting Fantasy Audio Dramas website to purchase a CD or Download. Follow us on Facebook and for regular production updates.